We can celebrate our Earth all year by teaching our children to take care of it. 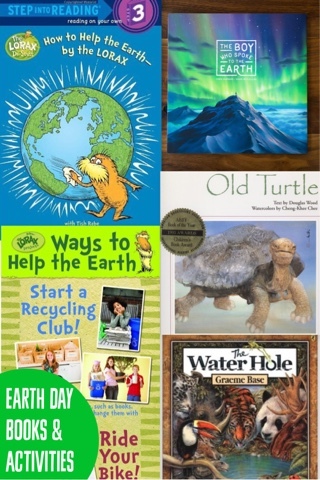 Grab a few of these books and try some activities to help your child love our earth. Being obSEUSSed, I have to mention The Lorax story. A message about saving trees and standing up for our environment comes across to even toddler age listeners. 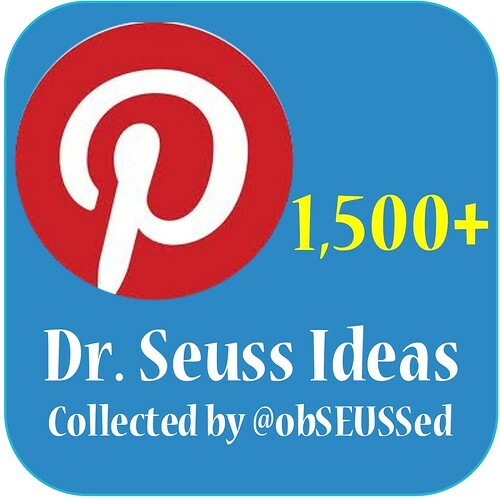 There are newer Step Into Reading Lorax books with more current ways to help the earth. 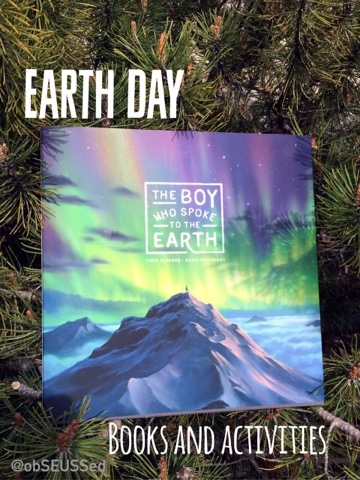 Another new favorite is The Boy Who Spoke to the Earth. The illustrations in this book are so vibrant and captivating. I wouldn't mind having them framed and displayed on my walls at home. 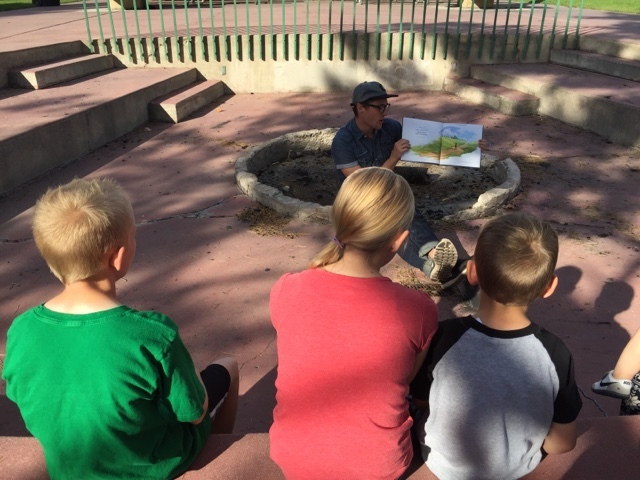 We went to a story scavenger hunt activity at the park for this book by Chris Burkard & David McClellan (Dreamling Books). My children loved the story of the boy who went in search of happiness. The boy searches each scene and asks to find happiness but the Earth reminded him he needs to "stand still for just a moment." I agree that sometimes we keep our children so busy playing and exploring outside but we may forget to take a moment to soak it all in and talk to our children about the beauty and importance of the earth. 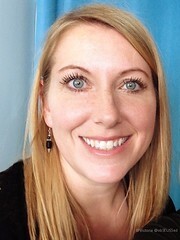 Dreamling Books, the publisher of The Boy Who Spoke to the Earth" took us on a story scavenger hunt. 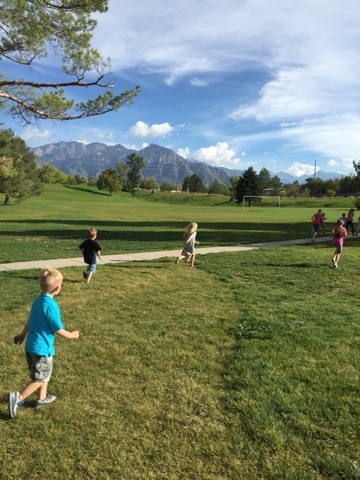 The kids ran to find clues around the park that led them to a prize. Parents can create their own Story Scavenger Hunt by creating small paper clues that lead to the next location then to a prize or destination (like a waterfall) at the end. We are so lucky to live near these beautiful mountains. Our kids take it for granted sometimes. I always make a point to tak about them when we drive past them or look out the window at them. Our family enjoys the earth by geocaching. We go on hikes around our state or visit our local park to find little hidden treasure boxes. Anyone can join the fun using the Geocaching app. We also use a hiking GPS to find caches in remote areas without cell service. As we hike with a purpose, we also take time to notice the scenery, animals, bugs and other hikers. If we find trash along the trail we pick it up to dispose of properly. Our kids love these outdoor adventures. 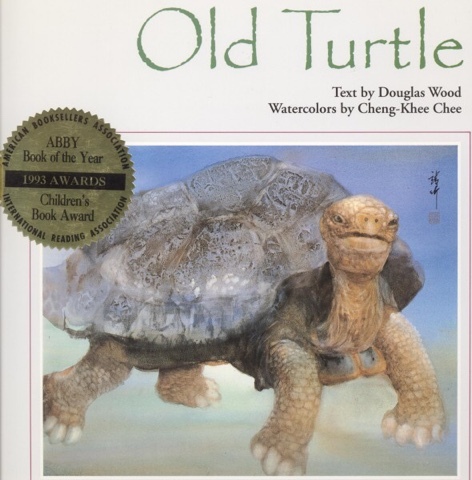 Old Turtle by Douglas Wood is another favorite of ours with detailed water color illustrations. The story is a fable of the way our earth was created. Animals play a big part of our earth. Look for animals at the park or an anima conservancy near you to learn more. Our children love our local Tracy Aviary. 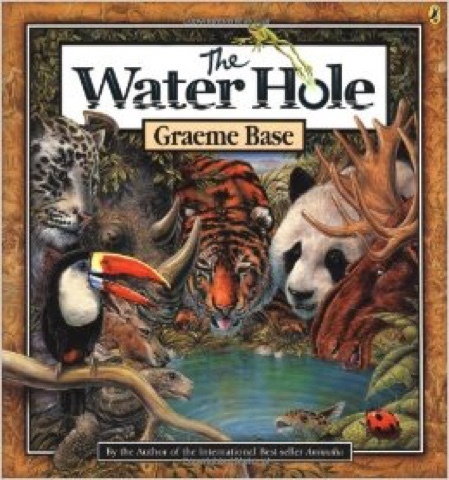 The fourth book I recommend is The Water Hole by Graeme Base. Hidden illustrations on pages get children interested in finding out why the water is disappearing on each page. 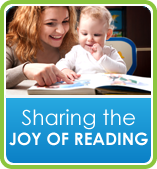 The theme of this book will help you start a conversation with your child about water conservation. Talk about ways you can save water around home like taking shorter showers or smaller baths and turning water off while brushing teeth. We use leftover water in our dinner cups to water our plants. 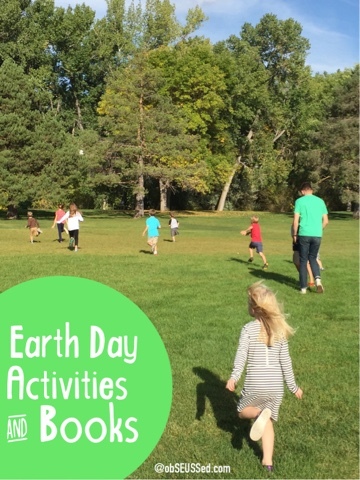 What are some of your favorite books or activities to celebrate Earth Day? Leave a comment below. *Disclosure, I received a free Boy Who Spoke to the Earth book in exchange for my honest review.